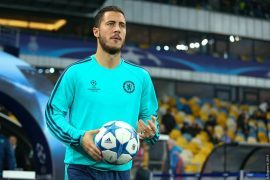 As the summer transfer market draws ever nearer, the speculation around Eden Hazard intensifies. 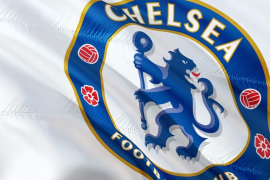 At this stage of the season, the frenzy around the Belgian is working in Chelsea’s favour as it takes the spotlight off the fractured relationship between Maurizio Sarri and the fans. The Blues have slowly worked their way back into the top four and have managed to make vital progress in the Europa League. 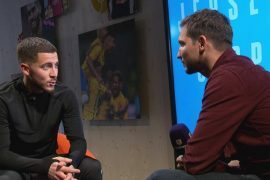 That is probably the only plus side to the saga surrounding Hazard, with it looking increasingly likely that the 28-year-old will make Madrid his new home in the summer. With Chelsea under a transfer ban for the whole of the 2019/2020 season and no guarantee at this stage of Champions League football for the upcoming campaign, it’s not hard to see why Chelsea’s number 10 may feel the time has come to leave Stamford Bridge. As painful as it will be to bid adieu to a man that has become a Chelsea legend, it certainly won’t be the end of the world. There’s only so much a club can do in a bid to keep a player before they have to comes to terms with an impending departure. In the rare instances that Chelsea have had a wantaway player, Roman Abramovich has always softened the blow by generously dipping into the transfer market in order to find a suitable replacement. The obvious problem here is that the club won’t be able to do this for the next two transfer windows as they serve their punishment handed down by FIFA, but similar to the pain of losing Hazard, it won’t last forever. What’s more is that there is every reason to believe that this will be quite an amicable parting of ways. By all accounts, Hazard is very happy at Chelsea under manager Maurizio Sarri and even said after the 1-0 triumph against Slavia Praha that he thought the Italian was a fantastic manager. That would have given the more heartbroken Blues fans out there hope that the 28-year-old might be indicating that he wants to stay. Regrettably, even if Chelsea were to qualify for the Champions League by triumphing in Europe – which looks a distinct possibility as their Europa League winner odds of a mere 13/8 would illustrate – it still wouldn’t be enough to stop Hazard joining Zidane’s revolution. Rather, the good relationship that he enjoys with Sarri will make it easier for him to go, with the Italian unlikely to stand in his way when Madrid inevitably come calling. What the transfer window giveth, it can also taketh. Chelsea have been given the pleasure of having Eden Hazard play for the club for seven years, but his time looks to have now come to an end. Chelsea have let better players leave and the sun always managed to come up again the next day, even if it was disguised as a light London drizzle. It’s time to say thank you for the memories and move on so that someone else can become Chelsea’s talismanic player. Here’s looking at you, Callum Hudson-Odoi.